It's one thing to stand in a grocery store aisle choosing from dozens of cereal or shampoo brands, but standing amid a sea of mattresses, trying to distinguish one from another, is a different proposition altogether. In 2011, newlywed John-Thomas ("JT") Marino ran headfirst into the mattress-buying morass. An engineer at a Silicon Valley startup, Marino took an analytical approach, intending to dissect the process of making his purchase before ever entering a mattress store. Things didn't go well. "I started doing research online, and that is when the challenge began for me," he remembers. "Almost everything was marketing spin or just false. I couldn't feel confident in what I was researching." When he visited mattress stores, things only got murkier, as commissioned salespeople appeared to be putting up smoke screens. "My objective was to learn the brands and compare features and models," Marino says. Instead, he found that the same mattresses were often rebranded for different stores, or small tweaks were made to differentiate them. Some seemed to be identical, but one cost $500 more than the other. There was no real way to compare and contrast. "Honestly, it was a lot like the Taco Bell menu," Marino quips. "It's all these same ingredients mixed around with different formats, like a different mix of fabric, springs and thicknesses." In the end, Marino spent more than $3,000 on a mattress. After a couple of weeks, he was ready to return it, but shipping costs were prohibitive. "I settled on this thing, and every night it just reminded me of my mistake," he says. Turns out Marino's close college friend Daehee Park, who worked in the marketing department of the same startup, had gone through a similar ordeal. The two had already talked about getting out of the online software industry and doing something more impactful and organic. The conversation turned to building a better mattress business. Together they wrote down all the things they hated about their mattress-buying experience. Then they tore apart actual mattresses and called suppliers to gather information about manufacturing costs and processes. What they learned was that Marino's $3,000 mattress cost only about $300 to manufacture, including materials and labor. In general, they found, big-brand mattresses are marked up five to 10 times. 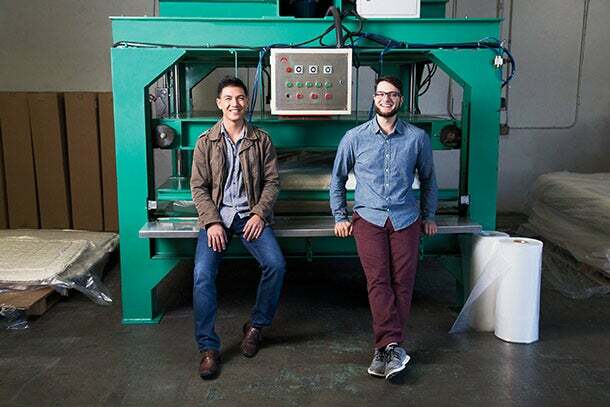 The startup sells two styles of foam mattresses: 5 or 10 inches thick, in sizes ranging from twin to California king. They are priced at $200 to $600. Using an industrial vacuum sealer, they are able to compress the mattresses flat, reducing shipping costs and allowing them to sell through their own website and Amazon. 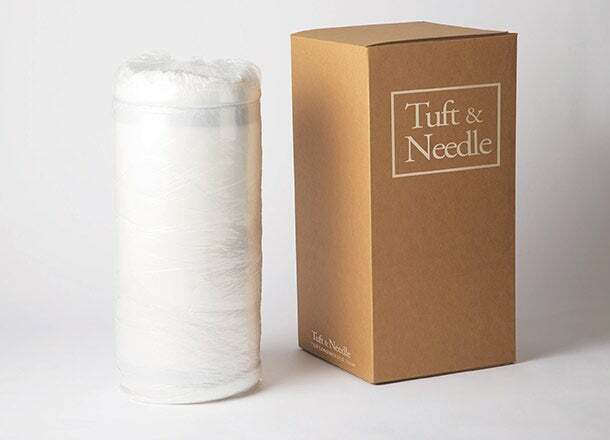 Initially, Marino says, Tuft & Needle sold a single prototype. "We then called every customer and asked for detailed feedback," he explains. "We had a much higher return rate then, but we hustled to continuously iterate on our mattress like it was software. Now our return rate is under 1 percent, our customers are super-satisfied, and they're sharing with friends. That's how we started to grow. We're as viral as a mattress company can be." in 2013 hit $1 million. The company, which now employs 13 staffers, reached $1 million in sales in the first three months of 2014 alone. The big mattress manufacturers are starting to notice. "I don't think our numbers are big enough for them to be concerned, yet; they're just curious. But this time next year, that might be different," Marino says. We've had some try to acquire us. We've also had a few threats." 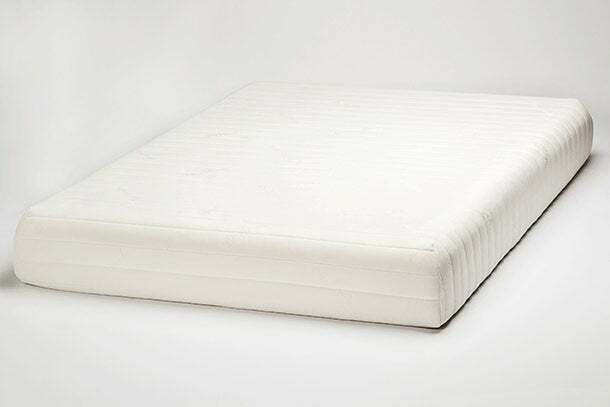 Mark Kinsley, vice president of marketing for the bedding group of Leggett & Platt and one of the executive editors of Sleep-Geek.com, a website that keeps tabs on the mattress industry, believes Tuft & Needle is succeeding because the system for buying mattresses is broken. time and money. JT and Daehee, those guys clearly care about consumers. They've created a seamless experience with great customer service." Over the next year, the partners hope to release new sleep-related products while also implementing a more efficient shipping method. Their goal, Marino says, isn't to go head-to-head with the big guys. "We're not even looking at the competition. Our model is so different and unique," he says. "We want to build loyalty and a company customers can fall in love with. If we do that, we'll have a shot at being globally successful."